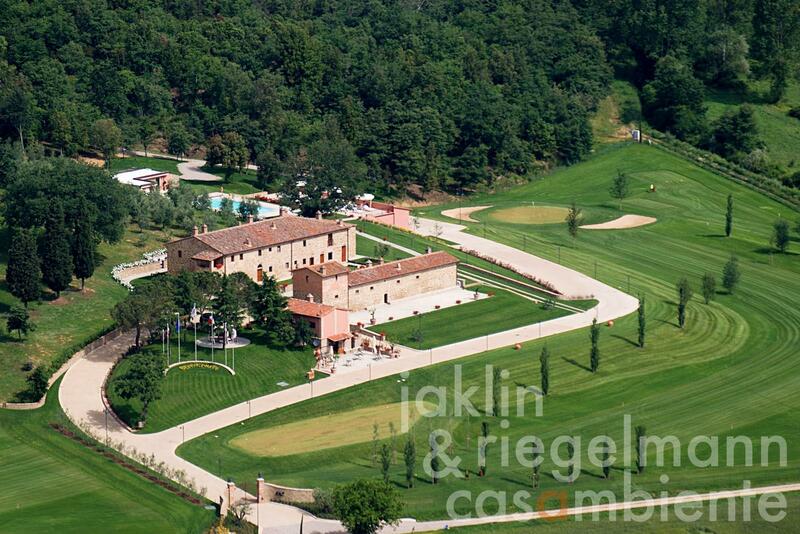 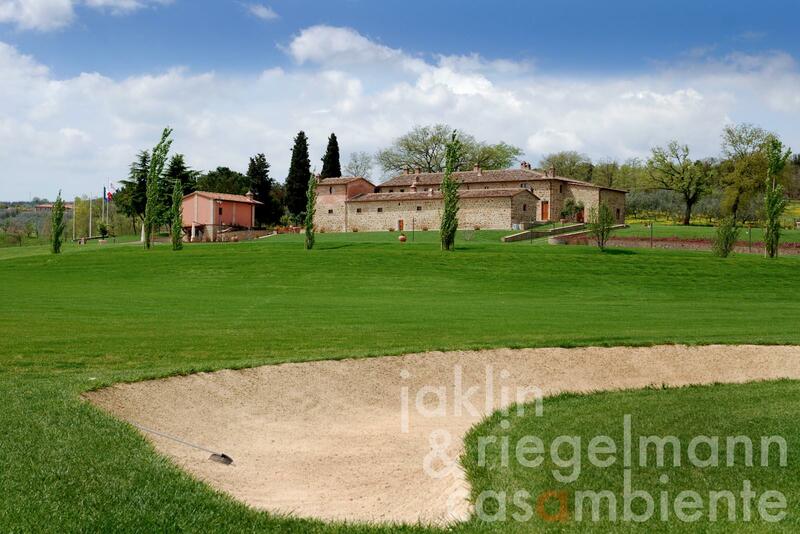 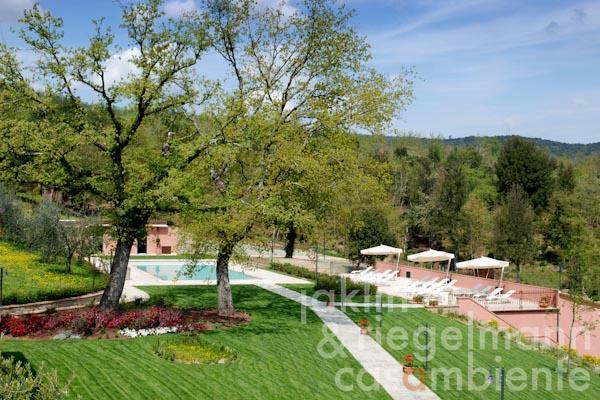 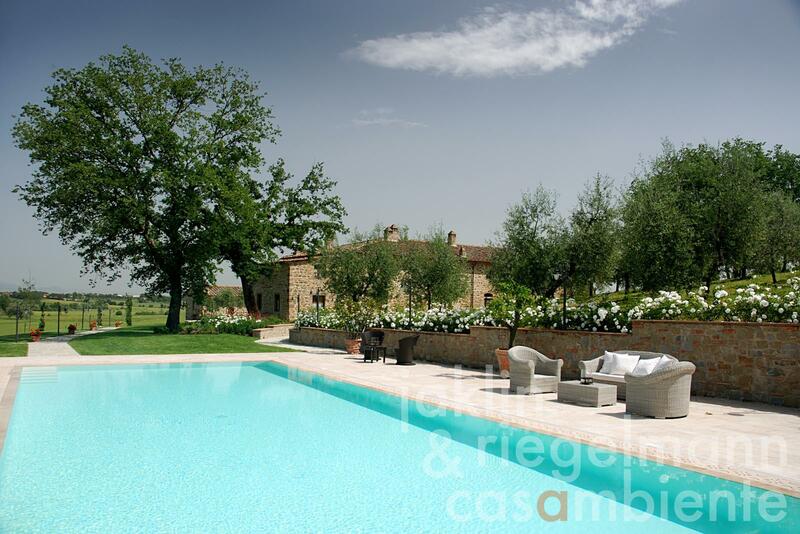 This property with 45 ha of land is an already existing golf course with 2 holes for sale in Tuscany, which can be extended - by renting adjacent 40 ha land - to 18 holes on at least 85 ha with all necessary permits by the authorities. The existing buildings/resort are two restored farms of 1,250 m² (21,500 sq.ft.) 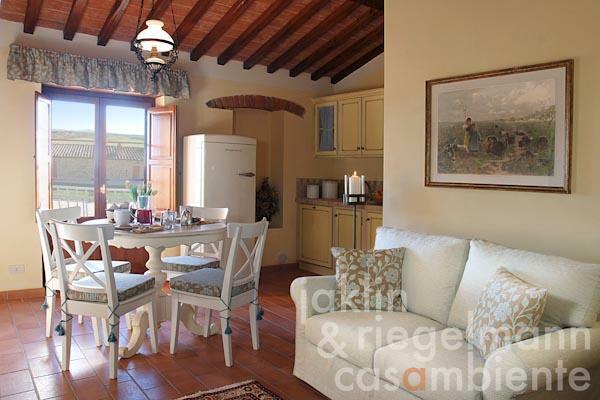 of living space with 4 houses and a few annexes, of which one is a new built cantina. Wine production is 50,000 bottles p.a. 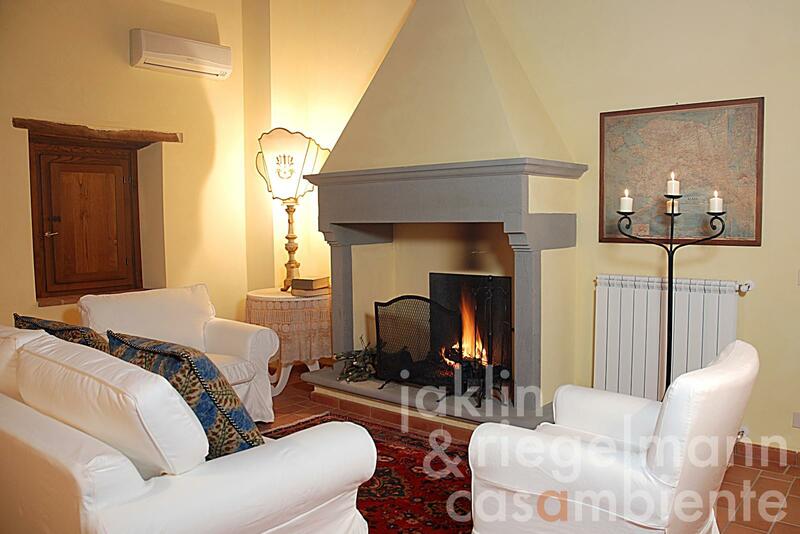 , four red wines and Vermentino. 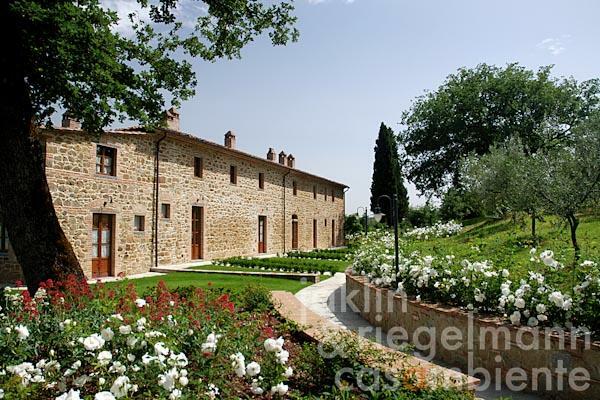 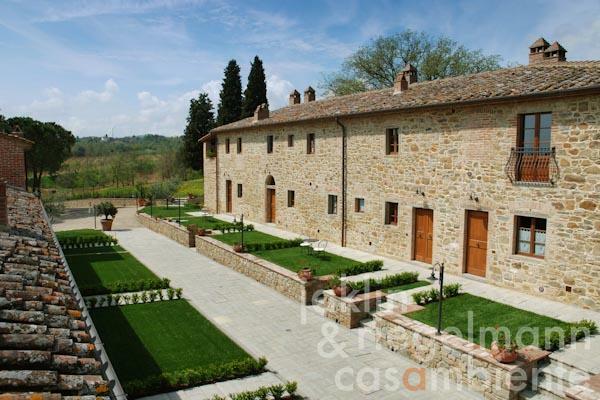 Italy, region Tuscany, province Arezzo, Valdichiana. 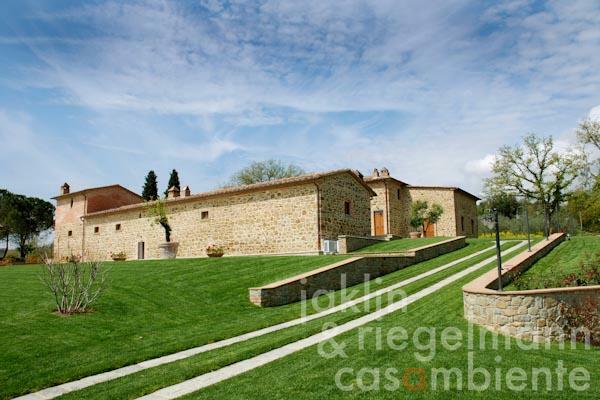 45 ha with 10 ha vineyards, 13.4 ha arable land, 20 ha woodland, pond with 37,000 litres rain water. Extendable by purchasing or renting of adjacent land of 40 ha. 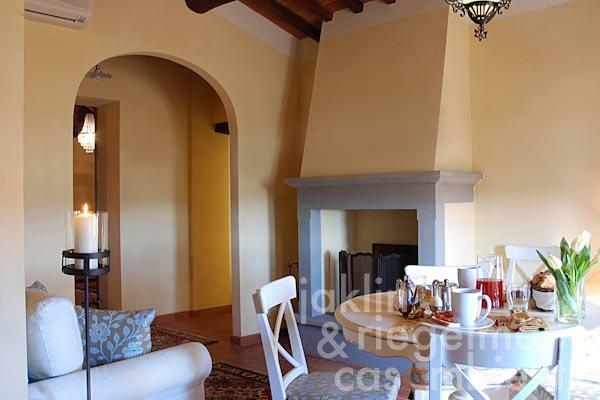 Electricity, mains water, own well water, central heating, fireplace, gas tank, telephone, satellite-TV, automatic gate, irrigation system, swimming pool, garage, carport, terrace, vineyard, olive grove, garden.